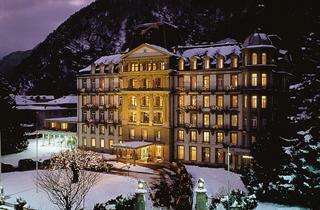 Interlaken is one of the most popular holiday destinations of Switzerland. Situated "between the lakes" Interlaken is a summer destination that has it all. Should you be planning your next summer holidays in the Alps, Interlaken is the place to visit. The lake and the mountains ensure comprehensive holiday destination for everyone.